Kuala Lumpur, 13 June 2018: Launching on 15 June, the Starbucks® Football Miniature Bearista will be available at all stores for an affordable price of RM48. Each Miniature Bearista comes with a VIA Caramel 3CT in a set and is dressed in an exclusive Starbucks Football jersey and sports attire. The limited-edition Starbucks® Football Miniature Bearista is sure to excite your inner child with the passion for football. This merchandise is only available for a limited time, and is perfect for gifting or to add to your collection. To add to the excitement, Starbucks Malaysia will also be screening live Football matches of the quadrennial event at 18 selected stores within the Klang Valley, Penang, and Johor (full list in Appendix I). TVs will be set up at the stores, and customers can enjoy Starbucks’ handcrafted beverages while watching the Football matches live. That’s not all. To hype up the Football season, walk-in customers who wear a jersey of any team will be entitled to a 20% discount on any Starbucks handcrafted beverages during the live matches at the selected stores. “Here at Starbucks, the community is always at the forefront of what we do. After all, we are in the people business serving coffee, and connecting with communities is the heart of our business. 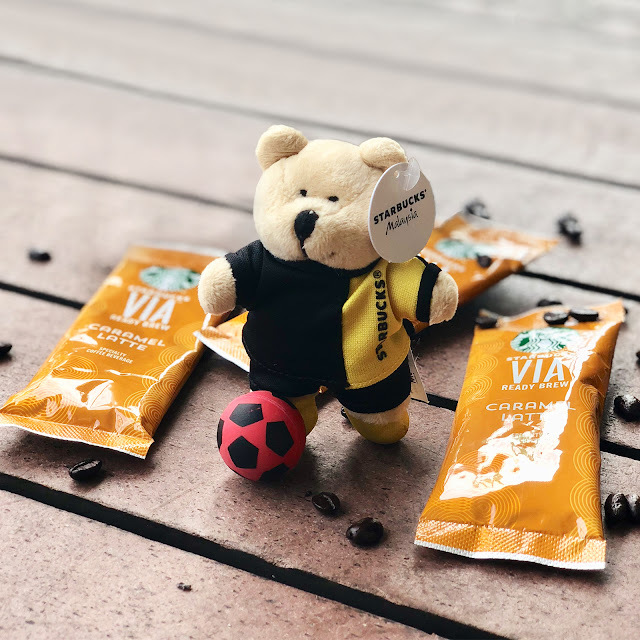 The Starbucks® Football Miniature Bearista is the perfect companion to bring home with you to add to your collection, or to have by your side while you watch the highly anticipated matches with your mates. Alternatively, you can always come to our selected stores for the coffee and stay for the Football,” said Ms. Esther Woo, Director of Marketing of Starbucks Malaysia and Brunei. The Starbucks® Football Miniature Bearista will be available from 15 June 2018 onwards at selected Starbucks stores across Malaysia, while stocks last. For more information, please visit the Starbucks Malaysia’s website at www.starbucks.com.my.